Durst Phototechnik AG / Durst Phototechnik S.p.A. (until 1942: Durst Phototechnik S.A.) is an Italian company headquartered in Brixen, South Tyrol. The firm was founded in 1936 by Gilbert and Julius Durst, with financial backing from a local family leather-goods company, Alois Oberrauch & Sohne. Until the early '60s it manufactured cameras, enlargers and slide projectors. The company and the Durst brothers personally held several patents for photographic innovations. 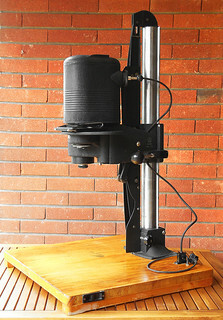 One of the first describes an enlarger with automatic focus. 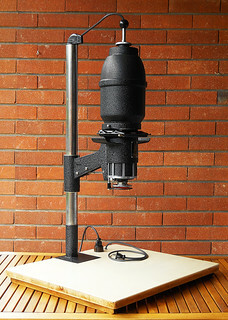 The Automatica, pictured here, was one of the first cameras to have aperture-priority auto-exposure, using a mechanism combining a selenium meter and a pneumatic escapement. 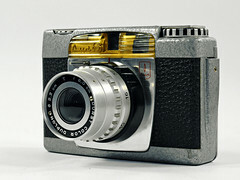 Agfa licenced a similar mechanism for the Automatic 66. 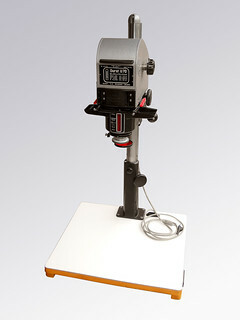 After about 1960, the firm stopped making cameras, and made mainly photographic enlargers and darkroom & photo-laboratory machines and supplies. After 2005 Durst ended photographic production to concentrate only on professional large-format laser and ink-jet printing machines. ↑ 1.0 1.1 Company history (archived), Durst Phototechnik AG; Innovative printing techniques are our world (PDF) at the minimal company history page of Durst. ↑ French Patent 848853 of 1939, Appareil d'agrandissement photographique avec mise au point automatique synchrone pour deux objectifs de longueur focale différente (Photographic enlarger with automatic focus, synchronised for two lenses of different focal length), at Espacenet, the patent search facility of the European Patent Office. ↑ US Patent 2800844, Automatic control for photographic cameras, filed 1952 and granted 1957 to Julius and Gilbert Durst and Durst AG, at Espacenet.